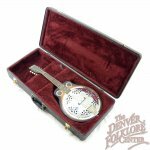 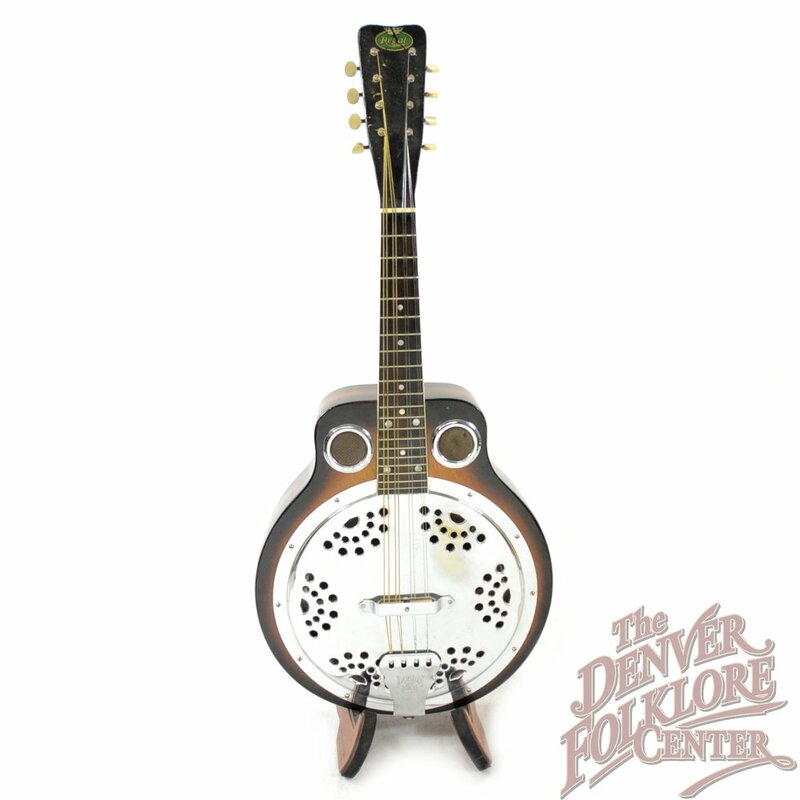 We believe this unique piece to be a Regal Dobro No. 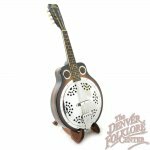 5 Resonator Mandolin made between 1929 and 1933, however, the history and production records on these instruments are sketchy at best so it is difficult to be 100% sure of the specifications. 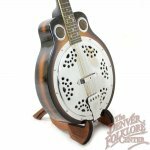 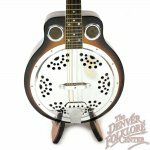 We do know that this resonator mandolin is in very good condition, had a recent neck reset so the action is perfect, and that the voice of the instrument is unique and robust. 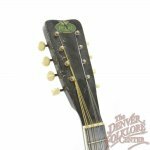 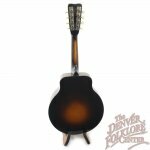 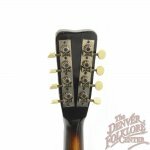 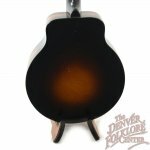 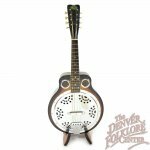 Overall the mandolin is in very good condition for an instrument from the 20th century and other than some scratches, dents, and dings, the only noticeable modifications are a few added fret markers on 13th and 18th frets. 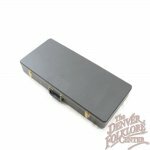 Also included with the mandolin is a newer hardshell case.